Resorcinosl offered by us are known for their fine quality and perfect pH composition. The entire range is always delivered within the stipulated time frame to the client. We offer 1,3,8-Trihydroxyanthraquinone, 1,3-Dihydroxyanthraquinone, 2-Isopropyl-5-methyl-1 and Abnormal Cannabidiol, Afzelechin to name a few. Alcohol C-11 (112-43-6) is colourless liquid, clear. it is also known as Undecylenyl alcohol, 11-Hydroxy-1-undecene, Undecylenic alcohol and 10-undecen-1-ol. it is use in Fraganance, flavours, cosmetics, aromatic and Soap Industry. Storage: Keep container tightly closed. Keep container in a cool, well-ventilated area. Aldehyde C 10 112-31-2 is Colorless liquid. 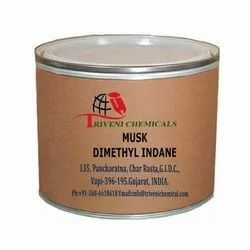 it is also known as Decanal, Decyl Aldehyde, Caprinaldehyde and Capraldehyde. it is use in Flavor & Fragrance, Aromatic, Perfumery, Cosmetics, Soap Detergent and Agarbatti Industry. Storage: Keep container tightly closed. Keep container in a cool, well-ventilated area. 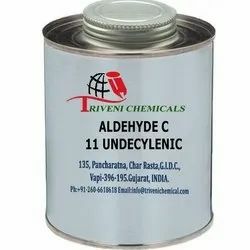 Aldehyde C 11 Undecylenic 112-45-8 is colourless oil. it is also known as Undecylenic aldehyde, 10-Undecenal and 10-Undecenyl Aldehyde. it is use in Flavor & Fragrance, Aromatic, Perfumery, Cosmetics, Soap Detergent and Agarbatti Industry. Storage: Keep container tightly closed. Keep container in a cool, well-ventilated area. Aldehyde C 12 Lauric 112-54-9 is Colorless liquid. it is also known as Dodecanal, Dodecyl aldehyde, Lauraldehyde and Lauric Aldehyde. it is use in Flavor & Fragrance, Aromatic, Perfumery, Cosmetics, Soap Detergent and Agarbatti Industry. Storage: Keep container tightly closed. Keep container in a cool, well-ventilated area. Aldehyde C 14 104-67-6 is colourless liquid. it is also known as Gamma-Undecalactone and Undecanoic Gamma-lactone. it is use in Flavor & Fragrance, Aromatic, Perfumery, Cosmetics, Soap Detergent and Agarbatti Industry. Storage: Keep container tightly closed. Keep container in a cool, well-ventilated area. Aldehyde C 16 77-83-8 is Colourless to pale yellow liquid. it is also known as Ethyl 3-methyl-3-phenyloxirane-2-carboxylate, Strawberry glycidate 1 and Ethyl methylphenylglycidate. it is use in Flavor & Fragrance, Aromatic, Perfumery, Cosmetics, Soap Detergent and Agarbatti Industry. Storage: Keep container tightly closed. Keep container in a cool, well-ventilated area. Aldehyde C 18 104-61-0 is colourless liquid. it is also known as Gamma-Nonalactone, Coconut aldehyde and Gamma-Nonanoic lactone. it is use in Flavor & Fragrance, Aromatic, Perfumery, Cosmetics, Soap Detergent and Agarbatti Industry. Storage: Keep container tightly closed. Keep container in a cool, well-ventilated area. Aldehyde C 8 124-13-0 is Colorless or lightly yellow liquid. it is also known as Octanal, Caprylic Aldehyde, Octanaldehyde and Octyl aldehyde. it is use in Flavor & Fragrance, Aromatic, Perfumery, Cosmetics, Soap Detergent and Agarbatti Industry. Storage: Keep container tightly closed. Keep container in a cool, well-ventilated area. Aldehyde C 9 124-19-6 is Colourless liquid. it is also known as Nonanal, Nonyl Aldehyde, Pelargonaldehyde and Nonanaldehyde. it is use in Flavor & Fragrance, Aromatic, Perfumery, Cosmetics, Soap Detergent and Agarbatti Industry. Storage: Keep container tightly closed. Keep container in a cool, well-ventilated area. Aldehyde C-11 (112-45-8) is Liquidcolorless To Pale Yellow Clear Liquid. it is also known as Undecylenic aldehyde, 10-Undecenal, 10-Undecenyl Aldehyde and 10-Undecenal. it is use in Fraganance, flavours, cosmetics, aromatic and Soap Industry. Storage: Keep container tightly closed. Keep container in a cool, well-ventilated area. Aldehyde C-12 Lauric (112-54-9) is Colorless To Pale Yellow Clear Liquid. it is also known as Dodecanal, Lauraldehyde, Dodecyl aldehyde and Lauric aldehyde. it is use in Fraganance, flavours, cosmetics, aromatic and Soap Industry. Storage: Keep container tightly closed. Keep container in a cool, well-ventilated area. Aldehyde C-7 (111-71-7) is Clear Liquid. it is also known as Heptanal, Heptaldehyde and Heptyl Aldehyde. it is use in Fraganance, flavours, cosmetics, aromatic and Soap Industry. Storage: Keep container tightly closed. Keep container in a cool, well-ventilated area. Aldehyde C-8 (124-13-0) is Colorless or lightly yellow liquid. it is also known as Octanal, Octyl aldehyde, caprylic aldehyde and n-octanal. it is use in Fraganance, flavours, cosmetics, aromatic and Soap Industry. Storage: Keep container tightly closed. Keep container in a cool, well-ventilated area. Aldehyde C-9 (124-19-6) is Colourless liquid. it is also known as Nonanal, Pelargonaldehyde, nonyl aldehyde and Nonanaldehyde. it is use in Fraganance, flavours, cosmetics, aromatic and Soap Industry. Storage: Keep container tightly closed. Keep container in a cool, well-ventilated area. Aldehyde ISO C-11 (1337-83-3) is Clear Pale Yellow Liquid. it is also known as Aldehyde Mixed C-11 and Undecenal Mixture. it is use in Fraganance, flavours, cosmetics, aromatic and Soap Industry. Storage: Keep container tightly closed. Keep container in a cool, well-ventilated area. Allyl Butyrate (2051-78-7) is colourless liquid. it is also known as Allyl butanoate. it is use in food and flavor, Fraganance, perfumery and Cosmetics Industry. Storage: Keep container tightly closed. Keep container in a cool, well-ventilated area. 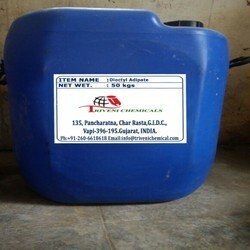 Allyl Heptanoate 142-19-8 is colourless liquid. it is also known as Heptanoic Acid Allyl Ester. it is use in Flavor & Fragrance, Aromatic, Perfumery, Cosmetics, Soap Detergent and Agarbatti Industry. Storage: Keep container tightly closed. Keep container in a cool, well-ventilated area. Allyl hexanoate (123-68-2) is Colorless to pale yellow clear liquid. it is also known as Allyl Caproate and Hexanoic Acid Allyl Ester. it is use in food and flavor, Fraganance, perfumery and Cosmetics Industry. Storage: Keep container tightly closed. Keep container in a cool, well-ventilated area. Allyl Octanoate (4230-97-1) is colourless liquid. it is also known as Allyl caprylate. it is use in food and flavor, Fraganance, perfumery and Cosmetics Industry. Storage: Keep container tightly closed. Keep container in a cool, well-ventilated area. Allyl Phenoxyacetate (7493-74-5) is colourless liquid. it is also known as Phenoxyacetic Acid Allyl Ester. it is use in food and flavor, Fraganance, perfumery and Cosmetics Industry. Storage: Keep container tightly closed. Keep container in a cool, well-ventilated area. Beta-Ionol (22029-76-1) is liquid. it is also known as it is use in perfumery, food flavours, Aromatic cosmetic Soap Detergent and Fraganance Industry. Storage: Keep container tightly closed. Keep container in a cool, well-ventilated area. Cis-2-Penten-1-Ol (1576-95-0) is liquid. it is also known as it is use in perfumery, food flavours, Aromatic cosmetic Soap Detergent and Fraganance Industry. Storage: Keep container tightly closed. Keep container in a cool, well-ventilated area. CIS-3-HEXENYL 2-METHYL-2-PENTENOATE (76649-17-7) is colorless clear liquid. it is also known as it is use in perfumery, food flavours, Aromatic cosmetic Soap Detergent and Fraganance Industry. Storage: Keep container tightly closed. Keep container in a cool, well-ventilated area. Cis-3-Nonen-1-Ol (10340-23-5) is colourless liquid. it is also known as it is use in perfumery, food flavours, Aromatic cosmetic Soap Detergent and Fraganance Industry. Storage: Keep container tightly closed. Keep container in a cool, well-ventilated area. Cis-4-Decenal (21662-09-09) is colourless liquid. it is also known as it is use in perfumery, food flavours, Aromatic cosmetic Soap Detergent and Fraganance Industry. Storage: Keep container tightly closed. Keep container in a cool, well-ventilated area. Cis-6-Nonen-1-Ol (35854-86-5) is colourless liquid. it is also known as it is use in perfumery, food flavours, Aromatic cosmetic Soap Detergent and Fraganance Industry. Storage: Keep container tightly closed. Keep container in a cool, well-ventilated area. D-Carvone (2244-16-8) is light yellow liquid, clear. it is also known as Dextro-Carvone. it is use in perfumery, food flavours, Aromatic cosmetic Soap Detergent and Fraganance Industry. Storage: Keep container tightly closed. Keep container in a cool, well-ventilated area. Dihydro-Alpha-Ionone (31499-72-6) is colorless clear liquid. it is also known as it is use in perfumery, food flavours, Aromatic cosmetic Soap Detergent and Fraganance Industry. Storage: Keep container tightly closed. Keep container in a cool, well-ventilated area. Ethyl 2-Methyl-3-Pentenoate (1617-23-8) is colorless clear liquid. it is also known as Cherry Pentenoate. it is use in perfumery, food flavours, Aromatic cosmetic Soap Detergent and Fraganance Industry. Storage: Keep container tightly closed. Keep container in a cool, well-ventilated area. Musk Dimethyl Indane (13171-00-1) is white crystals. it is also known as Celestolide and 4-Acetyl-6-tert-butyl-1,1-dimethylindan. it is use in perfumery, food flavours, Aromatic, cosmetic, Soap Detergent and Fraganance Industry. Storage: Keep container tightly closed. Keep container in a cool, well-ventilated area. Maple Furanone (0698-10-2) is pale yellow to yellow solid or liquid. it is also known as 5-Ethyl-3-hydroxy-4-methyl-2-5H-furanone and Ethyl Fenugreek Lactone. Storage: Keep container tightly closed. Keep container in a cool, well-ventilated area. Ethyl Trans-4-Decenoate (76649-16-6) is colorless clear liquid. it is also known as Trans-4-Decenoic Acid Ethyl Ester and Trans-Obtusilic Acid Ethyl Ester. it is use in perfumery, food flavours, Aromatic cosmetic Soap Detergent and Fraganance Industry. Storage: Keep container tightly closed. Keep container in a cool, well-ventilated area. Looking for Cosmetic Ingredients ?